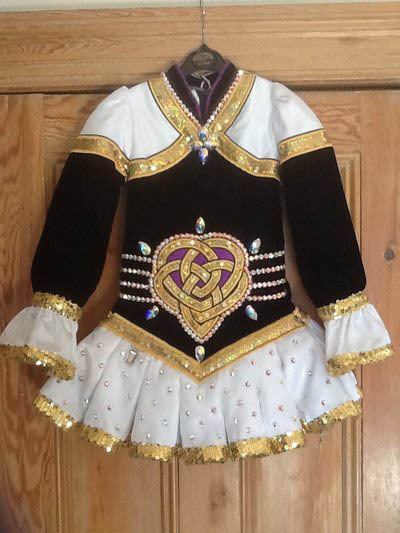 Rich black velvet bodice with knotted Celtic heart design in gold embroidery over holographic sequins and filled in with deep purple satin. Rows of AB crystals surround and radiate from the central design to form a sash effect and the bodice is dotted with large pear-shaped AB crystals. Shoulders, cuffs and the up-to-the-minute soft pleated skirt are all in white ‘twinkle’ satin, edged with gold sequin braid. 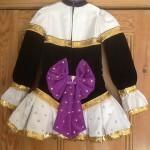 Sale includes purple satin kick pants and black velvet jewelled headband. 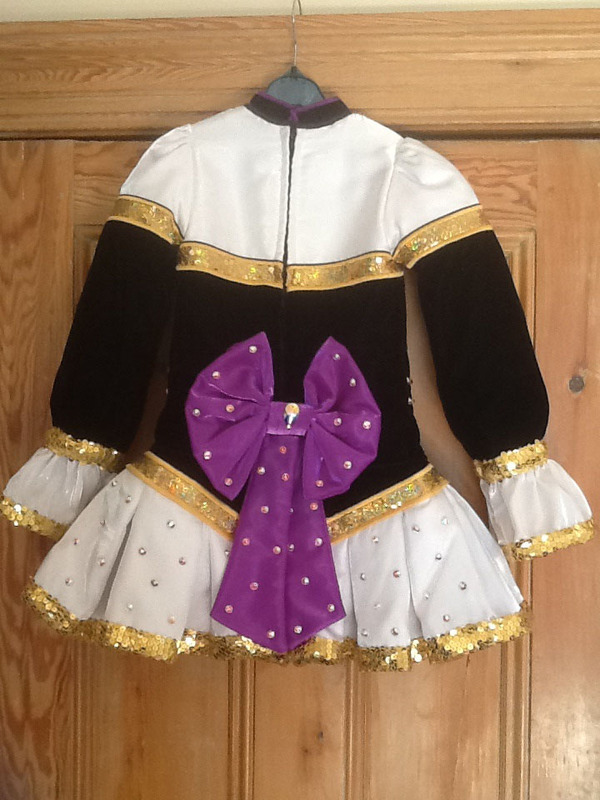 Dress is in amazing condition and has been stored flat in a smoke free home.